Melanie Stevens is a Licensed Professional Counselor in the State of Louisiana. 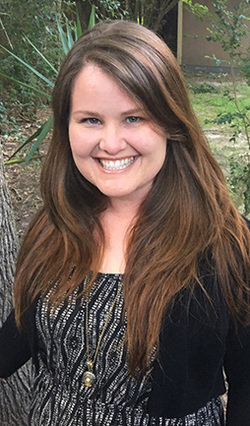 She received her Bachelor’s degree in Psychology, a minor in Communications, and her Master’s Degree in Counselor Education from Southeastern Louisiana University. She has experience working in mental health agencies, conducting in-home therapy with patients, and collaborative work within school and university settings. ​She specializes in the treatment of child, adolescent, and adult populations who cope with various mental health related issues, including but not limited to mood disorders, grief/loss, anxiety, depression, adjustment disorder, adolescent issues, parent/child relationship, self-esteem, situational stress, and post-traumatic stress disorder. She believes in providing a safe and accepting environment in which patients can explore and address important life issues, and she welcomes incorporating spirituality into therapy when appropriate. Counseling techniques from various theoretical approaches are integrated into the therapeutic process to best support each patient. She is a National Certified Counselor and a member of the Louisiana Counseling Association and American Counseling Association.